In a rather strange co-incidence two articles landed on my desk this soggy Sunday morning. Firstly we have an RCT of intra-arrest therapeutic hypothermia published in Intensive Care Medicine. 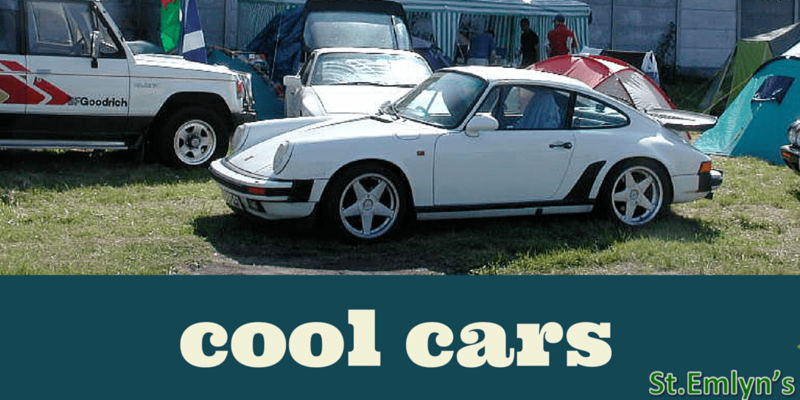 Secondly we have the ‘cool car‘. Now I like science and I also like cars and so we really need to look at this in more detail. Here at St.Emlyn’s we have an interest in hypothermia post cardiac arrest with posts on several aspects on how cold and how quickly. The TTM trial was a bit of a game changer this year, but there are a number of other questions we need to consider. 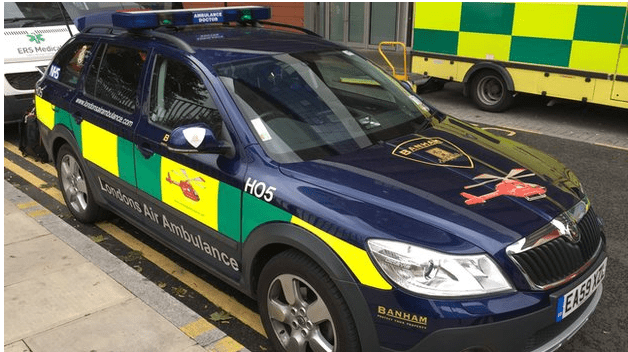 London Ambulance service have announced the cool car that is designed to race to the scene of cardiac arrest victims in order to initiate cooling, or at least that’s what the headlines on the BBC state and also what seems to be flying around twitter. It’s a great tag line, but a short read of the article suggests that this is not simply a mobile fridge. It appears (and I’d love to know more) that this is a model of advanced support to victims of cardiac arrest that goes well beyond ice packs. This is high levels of experience, senior physicians, mechanical CPR and even consideration of VA-ECMO. The car may be cool, but I think we need to know a little more about this and I might see if we can get Gareth Grier on the podcast to tell us more. This very much reminds me of the work done by the Edinburgh based resuscitation research group on two tier responses to cardiac arrest. The TOPCAT 2 trial has a not dissimilar model and again it’s about a lot more than hypothermia. So the car is more than a flying fridge and that’s really important as the role of hypothermia post cardiac arrest is controversial. The TTM trial has demonstrated that there was little if any difference between the management of patients at 36 vs 33C but that was after the return of spontaneous cardiac output. Prior to ROSC the evidence is less clear. Gareth Hardy’s post on intra-arrest cooling showed us that there is animal evidence but he only found a single RCT in humans which did not demonstrate improvements in survival. Since then we have also had the trial by Kim on the use of pre hospital cooling in cardiac arrest, which again showed no benefit in outcome. There is a great review of the trial on SGEM here. This week we have a new study on the subject. Intensive care medicine have published a small trial in humans looking at intra-arrest hypothermia in humans. The abstract is below, and as always if you have access to the full paper please read that too. Tell me about the study design. Hypothermia is an therapeutic intervention and so the most appropriate design is an RCT and that is what has been done here. 245 patients were randomised in a 1:1 ratio. The study was conducted in Southern France with the French SAMU model of physician equipped ambulances delivering the interventions. A sealed envelope system was used to randomise patients. Adult patients were enrolled with some fairly sensible exclusions such as trauma, bleeding, pregnancy, asphyxia etc. 245 patients were enrolled. Patients were pretty similar at baseline. They included all cardiac arrest rhythms unlike previous trials which have focused on just VF/VT. Interestingly the number of VF/VT was low (30%) yet these are the group where cooling was originally thought to work. This may have an effect on the results as it means that this subgroup is really very small indeed (total – 68 patients). Just under 1600 patients were screened in order to get to the 245 enrolled. 967 were excluded for a variety of reasons (Ed oddly enough 393 excluded for being dead – go figure). A further number we removed for unknown reasons which always makes me concerned about selection bias taking place at the discretion of the treating physicians. All patients were resuscitated according to standard protocols, but if they were in the intervention arm then they were cooled using cold fluids & surface cooling packs with the aim of getting the patients down to 32-34C. They looked for a combination of outcomes. To me the most important outcome is good neurological outcome and they did look for this, though the numbers in the study are small so we would be unlikely to see a statistical difference as the power is so low. They also looked at proxy markers of outcome using the rise in inflammatory markers as a measure of neurological damage. This is interesting as a proof of concept, but it’s not a patient orientated outcome. Neuro outcome was measured using the Glasgow-Pittsburgh scale. What are the main findings here? Although this is a small study there are a few things we can pull out. As with Gareth’s previous post – they demonstrated that we can feasibly get patients cold quickly. Those in the intervention group lowered their temperature significantly, sometimes too low (below 30C). There was a non-significant trend towards earlier ROSC in the hypothermia group. The difference was big (22 vs 45 mins on average) but not powered to clinical significance. There was no difference in the number of patients admitted with ROSC. There were no differences in discharge or neurological outcome. As the evidence currently stands there is little beyond animal models to support the use of intra-arrest hypothermia. The new London car is indeed pretty cool, but if it works to help patients it is likely that the interventions that count may not be related to the temperature, but rather to the skills, expertise and other interventions available. Time to cooling post cardiac arrest.